I was left with half a bag of Cranberries… so I decided to give it another go! Cranberries are packed with nutrients and if you would like to know some health benefits of Cranberries, I also mentioned it briefly in my previous post here. 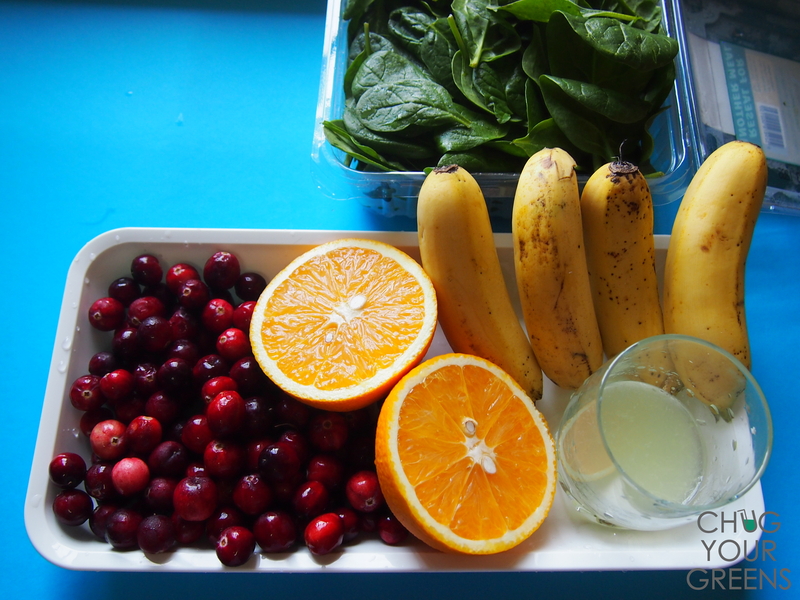 I couldn’t get much of the taste from the Berries because the Bananas were very sweet. Nevertheless, this drink turned out to be soooo much better than the previous one. To be frank, you can’t go too far wrong with 4 Bananas lol! I would love to experiment more with Cranberries in future. They are such nutritious Superfood that we should be including them in our diets. 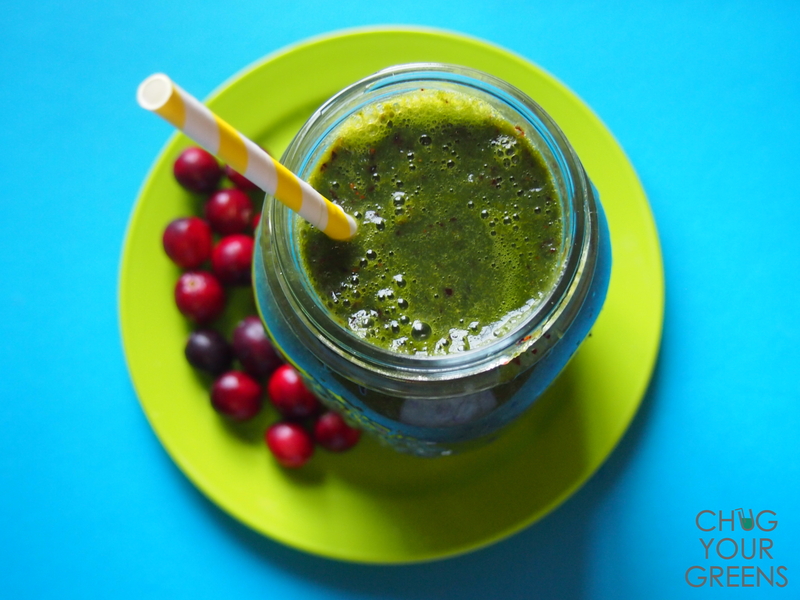 If you have any yummy recipes for a delicious Cranberry Green smoothie, please do let me know! I’ll have to give this one a go! Sounds great. Today I blended cranberries, grapes, bananas, blueberries, and spinach!